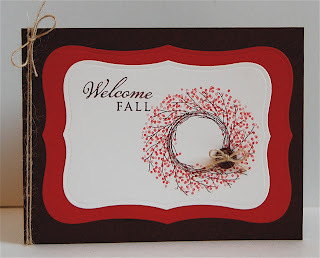 Mama Mo Stamps: Welcome Fall! LOVE this CAS card! The way you used the colors with this is perfect and it has an elegant feel to it! You are on such a roll Maureen!